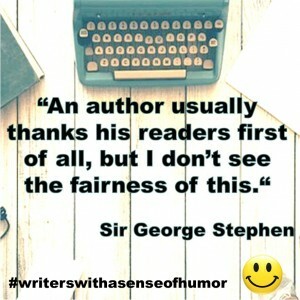 Should an author thank his fans for buying and reading his books? 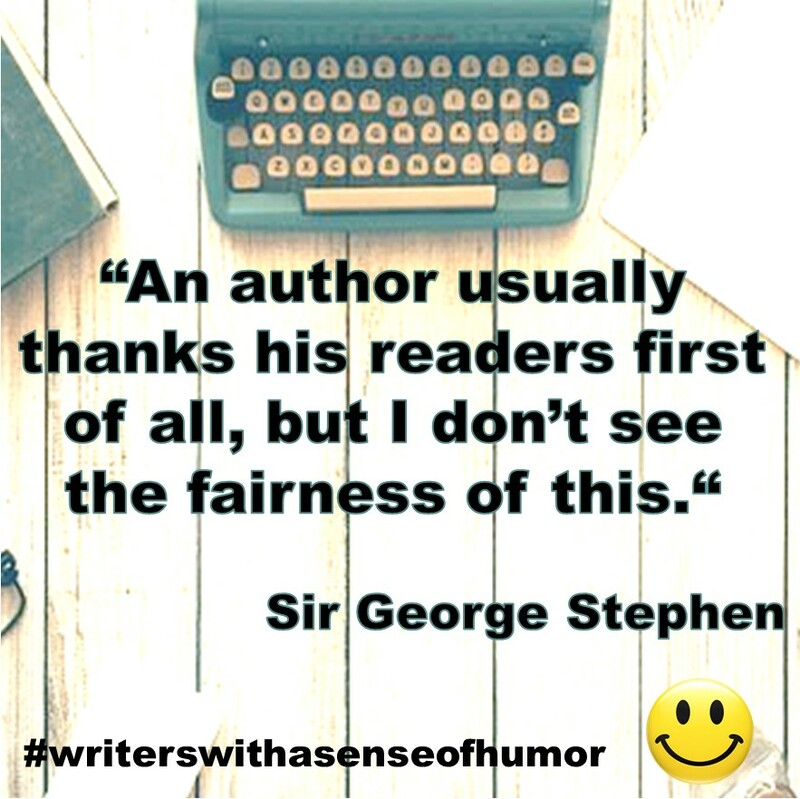 Sir George Stephen, a nineteen-century barrister and writer, thinks not. Here’s the explanation (slightly edited) from his book The Adventures of a Gentleman in Search of a Horse, published in 1835. As all authors who arrive at the honor of a second edition, I find myself burdened with heavy debts of gratitude. In marshalling to his creditors, to use a professional phrase, an author usually thanks his readers first of all, but I don’t see the fairness of this. There are not half a dozen among the thousand who have laid out their five pence to buy the first edition, who would have given me half as many pence out of courtesy or compassion for my wants. They have spent their money to please themselves; if they got more than their money’s worth, they are obliged to me. If they found themselves disappointed, I doubt not that they have “taken out their change,” as I have in such cases done myself, in liberally abusing the author for a pickpocket – and then I owe them no thanks. The account therefore, between me and the public, is either pretty well balanced, or the difference is in my favor. […] I will finish my expression of gratitude with the observation of a witty friend of mine: “It takes two fools to make a book – the man who wrote it, and the man who buys it.” I’m perfectly willing to bear my share of the witticism, if the public will be equally ready in vindicating their title to the other moiety. This is surely a fair proposal, and worth consideration. If accepted, I will hold the balance – which I claimed in the beginning – richly overpaid.